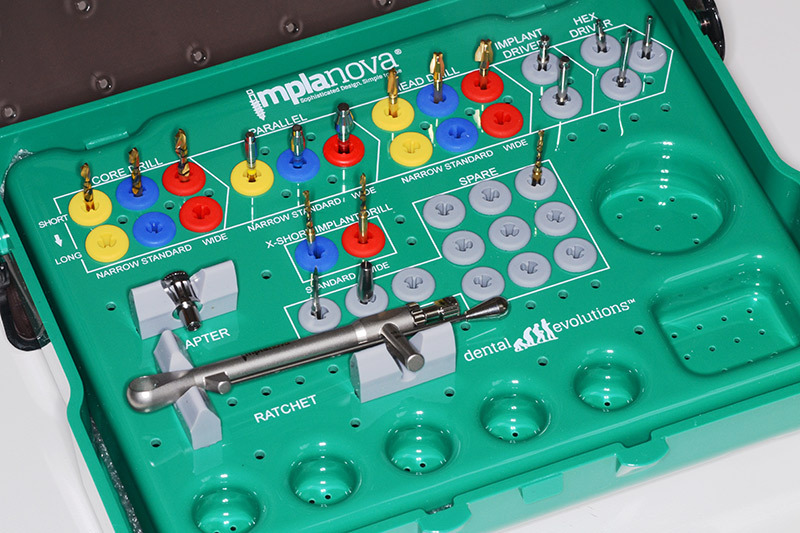 The Implanova® surgical/prosthetic kit requires only 9 types of instrumentation making it extremely simple for the practitioner and the staff to manage and keep track of. These include pilot drills, core drills, parallels, head drills, short drills, implant drivers, hex drivers, torque ratchet and ratchet adapter. Instruments in the Implanova® surgical kit are arranged and labeled sequentially and select instrument are color coded by diameter in order to aid the clinician during the procedure. 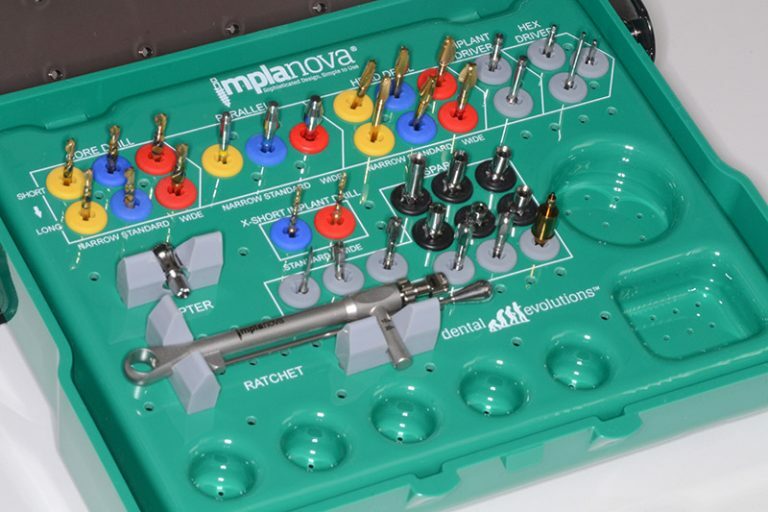 The entire prosthetic kit of the Implanova System consists of a single hex driver, special ratchet adaptor and a torque wrench with scale of 20 NCm. This single hex size is provided in three lengths of Short, Medium, and Long. The hex drivers are supplied with ISO latch so that they can be used in a handpiece or in a torque wrench via the ratchet adaptor. The prosthetic tools are supplied as part of the surgical kits. An optional abutment removal tool is also available that helps in removal of torqued solid abutments when the top hex of the abutment has been prepped away.